When she talks, Alyssa Rooke smiles and her whole face lights up. That smile has become her signature when she works at the bedside of her patients. “Some people think I am laughing because I smile a lot and I’m almost always happy. I see the effect it has on others,” said Rooke, a graduate of Indiana Wesleyan who came to IU health two years ago. 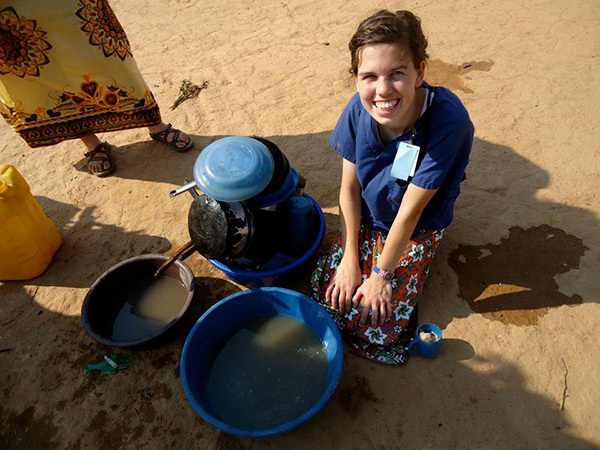 In addition to her smile, Rooke is known for going out of her way to comfort her patients. She once decorated a patient’s room with picturesque scenes of Colorado when a diagnosis resulted in him postponing his trip. She frequently delivers homemade cards to patients to help cheer them up. What do you like best about nursing? What advice would you give to someone in nursing school? What are some things few people know about you? The recruiters were calling. They wanted Brett Walker to play basketball for them. But his visits to the different colleges throughout the United States didn’t stand out. They were all the same. Walker will never forget the way he was treated at Tabor College in Kansas. They welcomed him. They remembered his favorite kind of cookie. Players called him to joke and talk ball. He felt like he belonged at Tabor – on his first visit. So, it was a no brainer to him. Walker chose Tabor. That is the exact same credo Walker has used for the past 16 years as he’s helped attract more than 1,600 of the nation’s best doctors to IU Health. 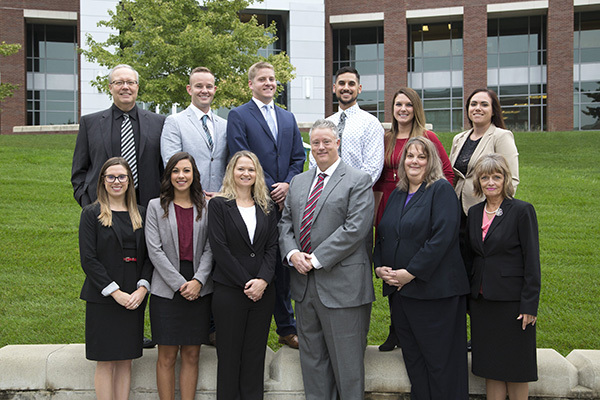 Since 2001, Walker has grown his team to 11 other recruiters, all charged with selling the medical scene in the Midwest to surgeons and specialists all over the world. And his team is having remarkable success. Just this year, they have helped recruit 335 providers to IU Health — 166 physicians and 169 advanced providers. And the team has found a way to do that job not only effectively but efficiently. Nationally, it takes an average of six different candidates doing site visits and interviews before a physician hire is made. IU Health is outpacing the industry average. For every four physician interviews, one is hired. Of course, it’s not an easy job. There are heartbreaking moments –when that highly specialized doctor who seems ready to say yes backs out at the last second. There are times when the top candidate is lured away by a state with beaches or mountains. Perseverance is a must. It takes an average of six months to recruit a physician; three months for advanced providers. There is a lot that goes into getting a physician to sign that dotted line. When it comes right down to it, recruitment isn’t all that complicated, Walker says. In most cases, it’s about how you make the candidate feel – and about listening. Walker tells his recruiters never to assume that every surgeon – just because of income — wants a fancy house on the water. They may want to rent. They may want a log cabin in the country. They may not care about being near a Saks Fifth Avenue. Walker learned that lesson years ago. He was recruiting a highly sought after orthopedic surgeon. He was going above and beyond, focused on making everything perfect. Walker promptly went to a Blockbuster and got a map of all the stores in the Indianapolis area, along with a $10 gift card. He did the same at all the gyms in the area. He then sent a package overnight to that surgeon with a handwritten note. The next day, Walker received an email. Each and every recruit has their own wants. They may have a ranch and need 20 horses relocated to Indiana. Walker has seen that. They may want to bring their spouse into the system with them. Walker grew up in Knightstown, Ind., a small town with Hoosier hysteria basketball running rampant. He was a star player. Walker’s dad was a schoolteacher and his mom worked as a proofreader for magazines. In the summers, Walker worked at a children’s home, counseling troubled youth. He really liked that. So at Tabor, Walker majored in psychology. It’s been a key part of what’s made him successful in recruiting. He can read body language and eye contact. He can talk recruits through their worries. But Walker didn’t intend to use his psychology for recruiting. He got into that career by accident after working as a social worker at a hospital. While at that hospital, a position for an assistant physician recruiter opened and doctors at the hospital told Walker he should apply. He would be perfect for the job. He was. Walker was so good at it that the booming IT industry lured him away. But soon, he started missing physician recruitment. Walker searched a job site on the computer. IU Health (then Clarian Health) was looking for a physician recruiter. Walker came on board in 2001. Throughout the years, many people have had misconceptions about his recruiting career. They think it’s going out to dinners, playing golf, having meetings in fancy hotel lobbies. That couldn’t be further from the truth. But he wouldn’t have it any other way, especially when he sits back and thinks about exactly what his job means. Personal: He is married to Elaine. The couple lives in McCordsville and has a son, Drew, a freshman in high school. They also have two dogs, Digs and Daisy. Industry: Walker is past president, in 2009 and 2010, of the Association of Staff Physician Recruiters, a national professional organization that consists of more than 1,600 physician and provider recruitment professionals from the United States and Canada. Outside of IU Health: He is an avid fan of the Chicago Bears, Kansas Jayhawks and New Mexico Lobos. He enjoys watching his son play basketball and traveling and vacationing with family. In the trenches: “The job of a physician recruiter, it can be high burnout. Your job is never finished. You see so much. And you come to expect the unexpected. You have people look you in the eye and say they’re coming and then they don’t. And I’ve had people I didn’t think we had a chance of getting and then they call and say they’re coming. Sign on the line that is dotted. We are only as good as our last recruit. Close to the action, far from the crowd. 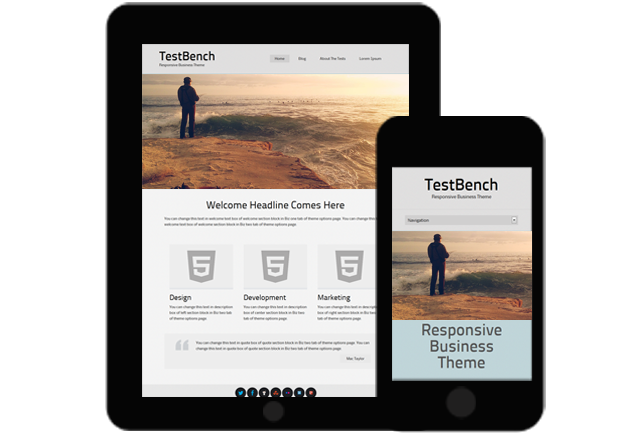 We are the recruiters of revenue generators. What will it take to get you to YES? The warm glow of an electric fireplace, a red and white coverlet casually draped over the back of a chair, and various black and white photos cast an air of warmth in the office of Joyce Hamon. It’s sort of like visiting a private library. Hamon uses this space in the seventh floor of Wile Hall to do what libraries do – collect, research, catalogue, and protect history. Hamon’s job may very well be one of the most prized in the IU Health hospital system. She is a caretaker, not for patients, but for the behind-the-scenes props, people and publications of extraordinary patient care. 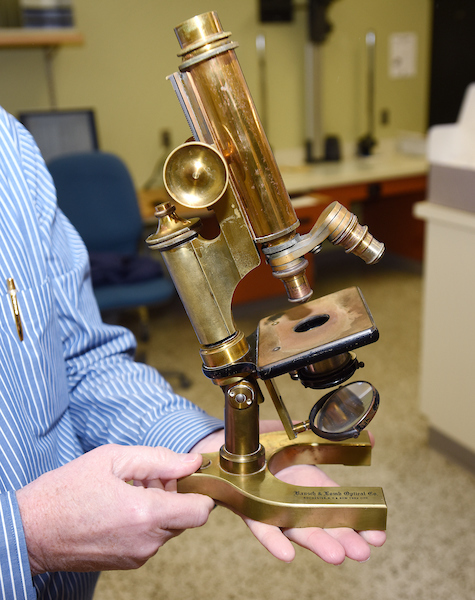 Imagine looking through the eye of a microscope once used by hospital researchers in 1894, or holding a glass syringe dating back to 1958. Those are only a couple of the hidden gems in the collection Hamon oversees as the coordinator and curator of the IU Health Archive Project. “I’ve just always enjoyed history. I’m a bookworm. I love historical fiction and biographies. Ken Follett is a favorite author because he writes about history spanning back to medieval times,” said Hamon, who works on the archives project three days a week. She didn’t always have a supplemental shift. She started at IU Health in April of 1988 working in the same building in human resources. In 1992 she moved into the role in the executive offices until she “retired” last year. It was her role as the executive assistant to former IU Health President & CEO Daniel F. Evans, that jumpstarted the archive project. A former Methodist Hospital physician was researching a project between the hospital and Eli Lilly that dated back to the discovery of insulin in 1923. He wanted to see if there was any mention in the hospital’s board minutes regarding clinical trials at Methodist Hospital. The search for those historic board minutes sent Hamon on a scavenger hunt of sorts. In the process, 1,000 boxes of old records were located in an off-site storage unit. In time, the boxes were moved back to campus, a site was secured to begin sorting the contents, and collecting additional artifacts and literature, and as they say . . . the rest is history. “The goal for this first year has been laying the groundwork for a real archives department,” said Hamon. “I feel like I’m a mile wide and an inch deep. It takes time to find space, and set things up so they make sense.” She took an 8-week online class, read lots of books, and took a few fieldtrips to visit other archival departments to learn the ropes. She also secured the help of a consultant and purchased software to help in cataloguing the research. A historical timeline Hamon completed begins with July 20-23, 1899: A convention surplus of $4,750 from the Methodist Episcopal Church International Convention of the Epworth League begins funding of Methodist Hospital. Other highlights of the hospital history include: The first Methodist Hospital Nursing School graduation in 1911; the dedication of James Whitcomb Riley Memorial Hospital for Children on Oct. 7, 1924; and the unveiling of the Methodist Hospital “Lighthouse of Health Beacon,” on Nov. 9, 1933. There are also pictures of the hospital’s first 19-bed intensive care unit, dated April 22, 1963, the new Indiana University Hospital, dated 1970, and the implantation of the first artificial heart dated July 8, 1987. The photos and dates represent years of medical progress, and hours of work by Hamon. As she talks about all the sorting and settling of dust, Hamon enthusiastically shows off the storage area. It’s like a vault filled with national treasures. Boxes and boxes of photos are organized by dates and relevance. Documents preserve pages of history – including hand-written board minutes, hospital newsletters, and keepsakes from the 50th, 75th, and 100th anniversaries of Methodist Hospital. And then there are the artifacts – the treasures that take history buffs back in time to walk in someone else’s shoes – like the nursing cap designed by Nurse Jessie Bass, the first operating room supervisor in 1908. The caps were originally made in the hospital sewing room. Hamon stores the cap safely in a box wrapped in tissue paper like a china doll. Stored in other boxes are dolls created by the nursing class of 1938, depicting the history of nursing. “I’ve learned so much from this project,” said Hamon, who hopes to have a large portion of the early Board minutes digitalized by next summer. But she knows that history takes on a life of its own and she is sure there will always be more to collect and catalogue. Driving down I-69 just miles from Muncie headed to Indianapolis, a car flips over the median and crashes into an oncoming vehicle. In one car is a 5-year-old girl, severely injured, and her 57-year-old grandfather with an open fracture and bleeding. In the other car is a 23-year-old woman, who was ejected and has a traumatic brain injury. It’s a devastating scene, but all their chances of survival – before any ambulance or helicopter even arrived – just catapulted. All these people will be treated within the IU Health trauma system – one of the most comprehensive in the nation. When patients are treated at certified trauma centers, their chances of survival jump. At Level I centers, survival rates increase 25 percent. Ultimately, the little girl will land at Riley Hospital for Children at IU Health – a Level I pediatric trauma center. The grandfather will be at IU Health Ball Memorial Hospital – a Level III trauma center. And the young woman will be airlifted by IU Health’s own LifeLine helicopter to IU Health Methodist Hospital – a Level I trauma center and one of the 15 busiest in the nation. All the while, in every ambulance, helicopter, hospital and trauma center, the protocols will be the same. The guidelines on getting antibiotics to patients in minutes and stopping the bleed to prevent hemorrhaging will be the same. Records can be transferred seamlessly from Ball to Methodist or Riley, if need be — all are on the same system. 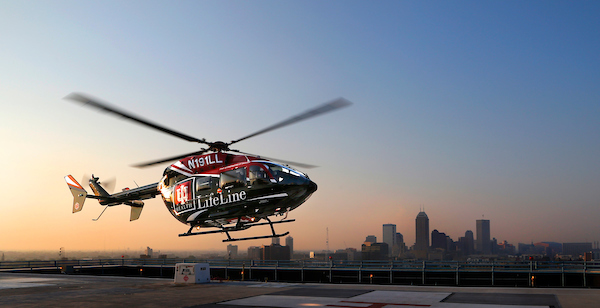 IU Health’s system, including five trauma centers, air and ground transport and comprehensive injury prevention and education – is believed to be a rarity nationwide. A trauma system is the entire cycle of care — from injury prevention, to pre-hospital, to hospital, to trauma center (if needed), to rehabilitation and then back home to injury prevention. Besides the three trauma centers Methodist, Riley and Ball Memorial, two other Level III trauma centers are in the system — IU Health Arnett and Bloomington hospitals. All are American College of Surgeons certified. At Bloomington, which was verified Level III nearly a year ago, the volume of trauma patients has increased by 15 percent. And all the hospitals have their big brother Methodist to count on, as well as LifeLine on the ground and in the air. For Dillon at Ball Memorial, becoming a verified trauma center has elevated the level of care for all patients. High quality sleep has long been linked to better brain health but a recent study has now linked sleep apnea (a known sleep sapper) to an increased risk of developing Alzheimer’s disease. The link between obstructive sleep apnea (not breathing), hypopnea (under-breathing) and dementia had been identified before, say experts, with age being the most common explanation, since sleep breathing problems tend to strike older adults. In their recent study, researchers found that biomarkers for a compound called amyloid beta, the plaque-building peptides associated with Alzheimer’s disease, increased over time in elderly adults suffering from obstructive sleep apnea. Not surprisingly, individuals with more severe apnea were found to have a greater accumulation of these compounds over time. Scientists say this study is the latest in series of similar findings. “Several other recent studies have suggested that sleep disturbances might contribute to amyloid deposits and accelerate cognitive decline in those at risk for Alzheimer’s,” said Ricardo S. Osorio, MD, senior study author and assistant professor of psychiatry at New York University School of Medicine. This recent study, however, included 208 participants, age 55 to 90. All had normal cognition. Researchers performed lumbar punctures to obtain participants’ biomarker levels, and then used positron emission tomography, or PET, to measure biomarker deposits in their brains. That said, experts agree that the lack of brain oxygenation that occurs during sleep apnea can be detrimental to one’s health, particularly one’s brain health. Tucked away from hospital rooms filled with patients and the hallways bustling with caregivers and family members is a sort of learning lab for nurses at IU Health University Hospital. “I can learn without being intimidated. It’s hands-on but I don’t have patients and family members watching me and I can ask as many questions as I want without fear,” said Brianna Fisher, who became a registered nurse last year. On a recent weekday she was joined by two other new nurses who were learning about critical care. The Professional Development Center is designed to provide scenario rooms where nurses can practice and improve their skills under the direction of peer educators. One of those educators is Doris Bennett who has been a nurse for nearly 30 years. “I never thought I’d leave bedside care but I’ve learned that you can’t complain about something unless you’re willing to do something to change the thing you’re complaining about,” said Bennett. About 10 years ago she said she complained about a lack of professional development for nurses. “Without a good foundation, new nurses can’t provide excellent care to patients. Our work is so intense, technical and vital to patient outcome that if nurses don’t have the foundation that they need it puts the patient at risk,” said Bennett. Only so much learning can be done in the span of a college degree. “There is a huge gulf between what they can get in nursing school and what they practice in real life. We are a hospital that is on the forefront of patient care. We have physicians who are research-driven and our nurses are going to see things practiced here that are written about in books that others will learn from,” said Bennett. All new nurses are taken through the paces of CORE – Clinical Orientation and Resource Education, a program where nurses demonstrate safe medication administration practices and complete assessment exams. The Professional Development Center provides a space for additional learning. Following CORE, a five-day program established by the clinical educators and their manager, which is facilitated by bedside clinical experts, helps new nurses hone specific skills. And if, at any time, a nurse needs assistance with a particular task, the Professional Development Center is available for practice. In a recent training, new nurses were learning about dialysis equipment. Part of the training was focused on the sounds of the machine; part was focused on setting up the device. “I can’t take a dialysis machine away from a patient to use to teach every new nurse, but I can use one machine to teach several nurses and several cardboard boxes. There’s no cost to the patient if there are errors, and the trainees, aren’t afraid of making mistakes,” said Bennett. When she was a youngster growing up in Gary, Ina Wilson harbored a litter of puppies for a week – storing them in a box in her closet – before her mother discovered the strays. “I was always a nurturer – bringing home frogs, dogs, cats, even a praying mantis – thinking I could nurse them back to health,” said Wilson, 42. But over time, she discovered she had an allergy to pet dander so she started considering a career in healthcare. “My family is one of healthcare providers. My mom is a dialysis technician and medical assistant, one aunt is a nurse, and another is a physician,” said Wilson, who holds a master degree as an adult nurse practitioner and graduated last year with a doctorate in nursing practice. 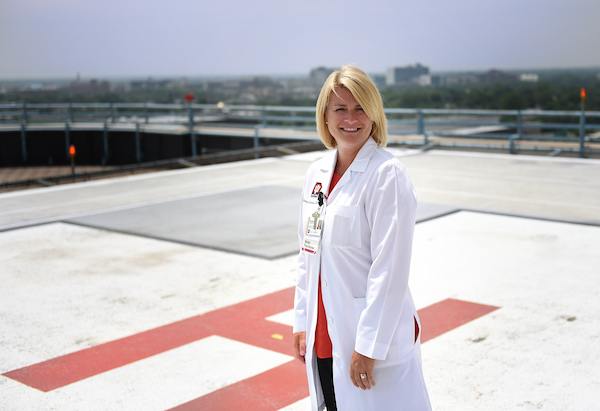 She started at IU Health 17 years ago and has worked in hematology/oncology, bone marrow transplant, and practiced with the hospitalist service. As patients near the end of cancer treatment, they often have questions regarding the transition from active treatment to living beyond cancer. Wilson counsels them on the importance of having regular follow up visits with their doctors to manage complications from having cancer or the treatment for cancer. She also talks to them about the importance of early detection and managing health and wellness. As the manage of the IU Health Survivorship Program, Wilson ensures that standards are met that promote cancer prevention, research and education, as well as the monitoring of quality patient care before, during and long after cancer treatment. Wilson, who has been married for 25 years to James Wilson, a clinical psychologist, thinks of individual patients when she describes her job. There’s Carol, who had a history of colon cancer and underwent surgery. But after surgery, she didn’t continue to seek care. She didn’t follow up with imaging or tests. As a part of Cancer Survivorship, Wilson reaches out to patients and reminds them of the need for follow up care. She also connects with a number of doctors. What makes her good at her job? Wilson, the mother of two, also credits her mentors for helping her learn throughout her career. The records were kept on paper in filing cabinets, many hand written, some typed up on a typewriter. The contact lenses were hard – like little pieces of glass. Dr. JJ Abrams’ patients, many factory workers on the west side of Indianapolis, paid in cash. The year was 1950. Dr. Abrams had opened up his first little optometry office at the corner of Belmont Avenue and West Washington Street. He was 22. Years passed. He moved his office two miles west into a little house on West Washington Street. He had a son, named John. He encouraged him to go into the medical world. Years passed. Soft contact lenses came on the scene. And computers. Dr. JJ Abrams encouraged his granddaughter Leslie to go into the medical field. And now, here they are, nearly 70 years later. Grandfather, son and granddaughter all practicing as eye doctors. Dr. JJ Abrams is 90. Son Dr. John Abrams, an ophthalmologist, is 59. Granddaughter Leslie Abrams Tobe, also an ophthalmologist, is 32. They are believed to be one of the few – if not the only – trios of generations practicing the same medical specialty at the same time in the United States. And the Abrams do. And it’s tremendous. The star of this eye doctor show, of course, is the elder Abrams. He’s the one who truly is doing something fascinating. He turned 90 in April. He practices two days a week – Tuesdays and Thursdays – from noon to 4 p.m.
Sharp? He’s got that covered. Every Tuesday night, Dr. JJ Abrams plays duplicate bridge for two hours. It’s a competitive form of the card game. He drives day and night. He has a girlfriend, Mary Ruth, who is 82. They have a standing dinner date every Saturday night to try different restaurants. As for his career, Dr. JJ Abrams never really made it a goal to keep working into his 90s, but he says he has no plans to retire. He truly loves this profession. And he tells stories fondly of all 68 years he’s been doing it. There is the little girl. She was 10 when Dr. JJ Abrams fitted her for her first pair of glasses. He still fits her for glasses. She is in her 60s. He has seen generations of families come through his office door to read the “E” atop the eye chart. Dr. JJ Abrams has become a part of their families. Born April 2, 1927, Dr. JJ Abrams grew up with a father in the motion picture business doing film distribution. “He had nothing to do with eyes,” Dr. JJ Abrams says. But his dad had a good friend who was an optometrist and he encouraged his son to go into the field. Dr. JJ Abrams went to Indiana University for a year, then to the United States Navy. After serving, he decided he would take his dad’s suggestion. There was no optometry school at IU yet, so he went the next closest place – Chicago. After three years at the Illinois College of Optometry – it was a 4-year program but Dr. JJ Abrams finished early — he started his optometry practice. It opened on Jan. 19, 1950. As he practiced, he had a family. Jeff, his other son, didn’t get along well with blood and needles. The medical field wasn’t for him; law was. But John showed interest. 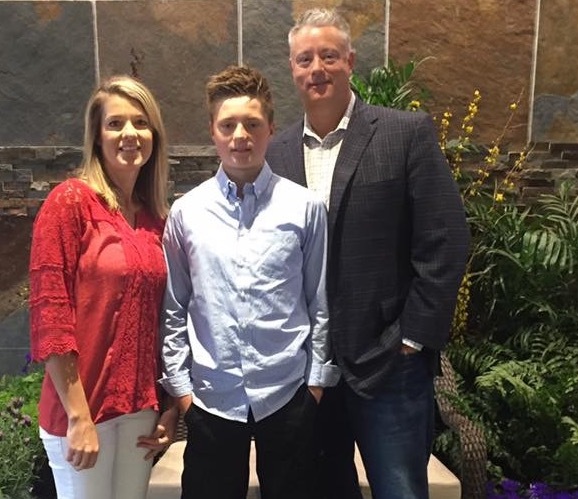 He came to his dad’s office during high school at North Central, doing handyman jobs — painting, installing a garage door opener, putting up a fence. Once in residency, he worked Saturdays moonlighting at his dad’s office. Today, Dr. John Abrams has three locations in Carmel and Indianapolis. He specializes in cataract surgery and LASIK. He’s also been the eye doctor for the Indiana Pacers for nearly three decades. “He’ll probably retire before me,” Dr. JJ Abrams says of his son. And while it was wonderful having his son follow in his career footsteps, Dr. JJ Abrams is especially proud of his granddaughter. “I thought it was just great,” he says. Dr. Abrams Tobe says she became interested in medicine in high school. She liked her science classes a lot. 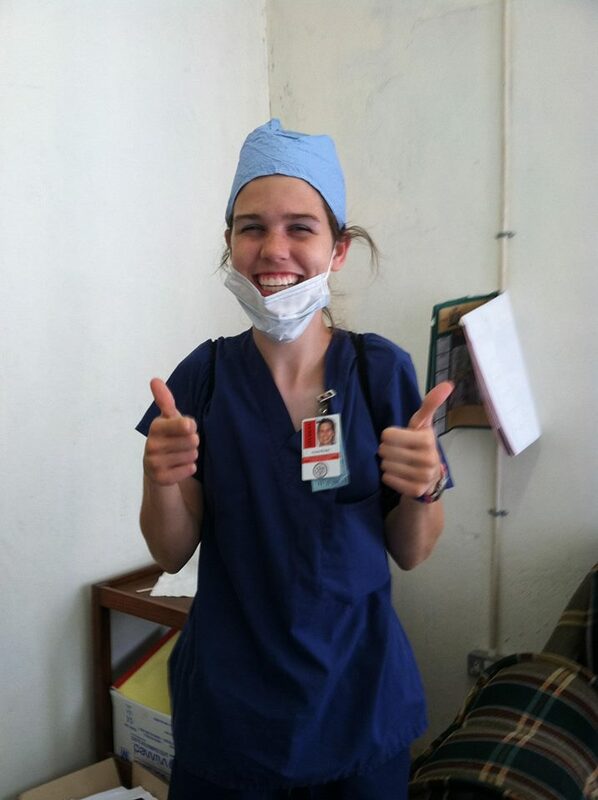 She went to the office with her dad and watched him perform surgery. Still, she went into medical school with an open mind. The eye specialty drew her in. Dr. Abrams Tobe specializes in the same surgeries as her dad, but also focuses on retinal diseases and injections for treatment. And now, it’s time to take a photo of the three generations. Dr. JJ Abrams follows his son and granddaughter into the exam room. “Don’t look too bad for 90 do I?” he asks as he fixes his collar in that mirror where patients read the charts. No, Dr. JJ Abrams. You most certainly do not. We all know we can’t thrive off of donuts and bonbons, but is it true you can be addicted to sugar? As a registered dietitian at Indiana University Health, I work with bariatric patients to help them lose weight in preparation for surgery. In addition to being followed by a team, patients also receive individualized nutrition counseling post-operatively. We work together to identify barriers and solutions throughout their weight loss journey. I also help people reach their health and fitness goals as a certified personal trainer and group fitness instructor. For me, it’s a personal win to see my patients discover that eating healthy can be easy. I love being able to help people integrate nutrition, fitness, and wellness to create long lasting lifestyle changes. That said, from a science standpoint, there is currently no evidence in humans of true drug withdrawal-like symptoms when it comes to food—particularly sugar. Sugar is not just found in candy and baked goods – it can also be in sauces, baked goods, protein drinks, juice, cereals, and salad dressings (among many other things). With all these items, it can be easy to go overboard. Find yourself craving the sweet stuff too often? Try these tips. 1) Look for Hidden Ingredients. Sugar may be disguised in our food labels as: dextrose, lactose, corn syrup, high-fructose corn syrup, honey, agave, brown rice syrup, barley malt, maltodextrin, fructose, and sucrose. If these words are in the top 3 ingredients of a food, it’s probably best to avoid. 2) Be Your Own Experiment. See if you can go one day without any added sugar or consider keeping a food journal. This can help you identify any situations that influence you to reach for the sweet stuff. For example, you may learn that you always grab a piece of candy from the candy jar at work, even though you don’t necessarily want it. You may find that it has simply become a habit. 3) Eat Natural Sweets. You may have heard fruit referenced as ‘nature’s candy.’ Due to the naturally occurring sugar – fructose – fruit is sweet without any additives. Try adding berries to whipped yogurt or add mango to a fruit smoothie. Take time to truly taste your fruit and the beautiful bold flavors and textures. 4) Find a Sugar Swap. If you always put creamer in your coffee, try opting for unsweetened almond milk or skim milk with a dash of cinnamon. If cereal is your go-to, try mixing your favorite with something less sugar, like cheerios or bran flakes. This can help cut back on not just sugar, but also added calories. 5) Know Your Limit. The American Heart Association recommends less than 100 calories (or 6 teaspoons) of added sugar for women, and 150 calories (or 9 teaspoons) for men per day for optimal health. Turkey Day is on its way. Here, how to enjoy holiday delights and still stay healthy when you have diabetes. Make sleep a priority. Don’t let the hectic holidays cause you to skimp on sleep, because studies show people who get less than the recommended seven hours of sleep a night are more likely to be obese. Moreover, being tired may also make it tougher to control your blood sugar because you may be more likely to make unhealthy choices, such as reaching for sugary or carb-heavy treats, for a quick energy hit. In fact, just two days of sleep restriction leads to higher glucose and lower insulin levels, along with 30 percent more cravings for calorie- and carbohydrate-dense foods (definitely not helpful when you’re faced with a holiday buffet), according to a study in the journal Sleep Medicine Clinics. Keep stress in check. 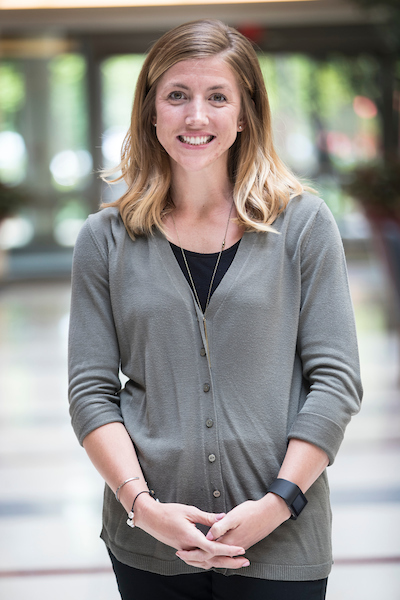 “The added demands of the holidays can be stressful, and stress impacts blood glucose levels,” explains Julie Pike, RD, CDE, who works in the Youth Diabetes Prevention Clinic at Indiana University Health. When you’re feeling frazzled, the stress hormone known as cortisol rises, which has been linked to insulin resistance. Pausing for even a minute to take some deep, slow breaths can help lower cortisol levels naturally. Or try doing some yoga poses, such as resting in child’s pose. Research shows that yoga releases the neurotransmitter linked to lower anxiety levels known as GABA. Plan a splurge. It’s okay to indulge in some treats in small portions, because making a food forbidden, such as pumpkin pie, might only make you want it more. Then, if you do finally give in, you’re more likely to over-indulge because your will power is sapped. “The secret is to use portion control and don’t feel guilty,” says Pike. “If you’re having a higher fat or calorie treat, then plan to fill up the rest of your plate with lower calorie foods, such as vegetables, to balance the meal.” Classic portion-control advice applies at holiday time: Avoid coming to a party hungry so you don’t reach for the first treat you see; fill half your plate with fruits and vegetables, a quarter with meat, and a quarter with grains; and fill up on healthy appetizers first such as salad so you have less room for the sugary and fatty eats. Choose: Hummus. Hummus has more protein and less fat than many dips, which tend to be made with sour-cream. Just keep in mind that hummus is not a low-calorie food, so use portion control. Pair with fresh veggies for an extra boost of fiber. Choose: Sweet potatoes. A medium-size baked sweet potato has 60 fewer calories and an extra gram of fiber compared to the white tubers. If you’re doing the cooking, try baking sliced sweet potato wedges drizzled with olive oil at 425 degrees until slightly browned, and then sprinkle with sea salt. Choose: A baked apple: Simply core, add juice and a cinnamon stick, and bake until tender. Top with low-fat Greek yogurt. Choose: The baked kind to save fat and calories. Try baking in muffin tins for instant portion control. Also, replace each whole egg with two egg whites and save 30 calories per serving. Other good-for-you tricks are preparing with barley instead of bread for a high-fiber, whole grain alternative, and using turkey sausage instead of pork. Get a move on. Don’t let exercise fall to the bottom of your to-do list when the holidays hit. “It’s very important to maintain an exercise routine to help keep your blood sugar, weight, and stress levels all in check,” says Pike. To start the day on a healthy note before your to-do list takes over, try doing just 15-minutes of intervals when you first wake up, such as combining jumping rope with jumping jacks and pushups. Then, go for a brisk walk with your family after a holiday meal for a bonding experience that is also good for your waistline.